If it’s one perk that comes with running a food blog, it’s the range of restaurants and other food services that I get to try at reasonable prices. And since you guys are the reason why I get to experience all of this great food, there’s no reason why I can’t share the wealth. And our new ‘Local Deals’ page is exactly how I plan to do that! 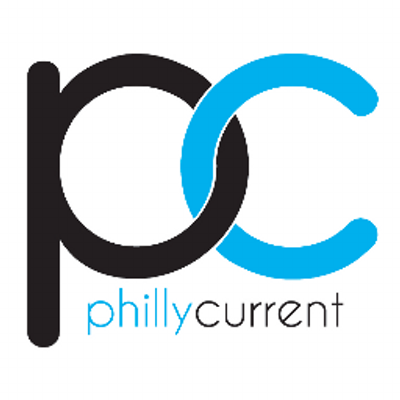 Throughout the next few weeks, I’ll be adding more restaurants, events, and services that participate in our promotion program for readers and followers of Philly Foodporn. Below, you’ll find a number of local restaurants and companies that have been nice enough to give me an exclusive promo code to pass out to readers of this site. I’ll be adding more as time passes and encourage any local restaurants to contact us if they’d like to be added to the list! It’s a great way for our readers to make their purchase a little more worth it while giving exposure to local businesses. You can see all of the local participants below and Get grubbing!!! Our newest partner, these girls do to Waffles and Wedged Potatoes what Pimp My Ride does to cars by completely decking them out with extravagant toppings and flavor combinations you normally don’t expect from these breakfast foods. W&W have only been in operation for a little over a year now, but they’ve already made a name for themselves by writing a genuinely creative and fun menu to their storefront (not to mention their bubbly and inviting atmosphere to their Center City location). Mention “Philly Foodporn” at their location for 10% off your order form their menu! Those who know me or follow me on Instagram know that Florida Style Pizza has become one of my #1 recommendations to followers and friends looking for a one of a kind fill up. The owners, Vincent and Anitra Golini, gave it this reputation by deciding that their signature “inside-out” pizza pockets shouldn’t be limited to the usual cheese and sauce. After a little experimenting and building their whole-sale business, they earned some much deserved press which showcased some of their more unique styles of inside-outs like the Mac & Cheese, Cubano, and the brand new Peach Pie (pictured above). Not to toot my own horn here, but they also have the ingenius “Philly Foodporn Brunch” inside out. A foodporn-worthy homage to our thriving food scene which includes fried scrapple, bacon, Gryuere cheese, and a fried egg inside their signature fried pizza dough pocket… topped with yet another fried egg (pictured below). Just typing this make me cry. Mention “Philly Foodporn” at Florida Style Pizza to get 10% off any order. Basically a mobile delivery version of Wawa, GoPuff is the ideal version of your neighborhood corner store that delivers at most hours of the day. Anything from sweet & savory snacks to household and party supplies to even beer, hookahs, and vaporizers can be delivered to your door within 30 minutes. Trust me, their app is worth the download not only for the sheer convenience, but their incredible selection of anything you’d need to sit back and unwind at home. Compared to most other delivery apps, GoPuff is the quickest and most affordable with a very cheap delivery fee and a 30 minute delivery wait. I’d be lying if I said they weren’t my go-to app for when the munchies kick in. Download their app for Apple and Android devices and use the promo code “Phillyfoodporn2” for $5 off your order! Food delivery apps are a dime a dozen these days, but Caviar has been able to separate themselves from the heard by reaching out to some of Philly’s best and most unique restaurants who usually don’t deliver like Federal Donuts, HipCityVeg, Ippolito’s Seafood Co., Amada, and Bing Bing Dim Sum. The result is people being able to get awesome food from their favorite places without having to drive all the way over to get it, which is awesome for someone who doesn’t drive and is inherently lazy, like me! It works like any other food delivery app where you put in your address and other information and see who’s delivering in your area. If you’re trying the Caviar app for the first time, download the app through this link for $5 off your first three orders on Caviar. What if I’ve already used the app? Not to worry! Caviar has made a custom promo code for our readers and followers! Just enter the promo code PHLFP10 to get $10 off any order of $25 or more. Banana Mousse is what you get when pudding and ice cream have a baby. At room temperature, it’s an airy, creamy pudding accompanied by equally soft sugar cookies (although the Mousse’s creator says it’s even better with bananas). When frozen, it resembles an even lighter version of ice cream, making it ideal for topping onto cakes and pies. It started as a treat that Shawna, the company’s owner, made for family gatherings and social events. It wasn’t until her daughter, Shadeera, looking for a way to start making her own money, decided to start selling it to friends and anyone else who would try a free sample. Hitting the streets as a two-person team started to pay off as more and more people started to notice them on social media and, eventually, started to distribute to local storefronts in the Philly area. In terms of my efforts to support local businesses in Philadelphia, this is as good example as any. Shawna and Shadeera were nice enough to start a promo code for all of us to get free samples of Banana Mousse at one of the many storefronts that carry Banana Mousse. In particular, the 8 Brothers Market located at 4500 Lancaster Avenue. There, you’ll be able to try Banana Mousse for yourself and, like I did after trying it, buy a few packs of the various flavors it comes in like Cookies & Cream, Strawberry, and Regular. Just Mention Philly Foodporn at the shop for a free sample. Not exactly something you can eat, but Pholadelphia clothing is a prime example of what it means to express to those that not only are you from Philly, but your obsessed with the rich, savory, life giving ritual that is eating the Vietnamese soup and staple of the average Philadelphian millenial diet, Pho (Pronounced F-uh, for the layman). Those who know not of this beautifully rich, optionally spicy ambrosia of flank steak, brisket, rice noodles, onions, basil, and an ever-going broth made from a mother stock of beef bones, won’t understand the novelty of a clothing company like this, but I don’t think that would be an issue for the average reader of Philly Foodporn. When you visit Pholadelphia’s Website, you can get 20% off your order by entering the promo code ‘phillyfoodporn’ – This will go towards any of their custom designed tees, tanks, and hoodies made for both men and women of the Philly food scene.